Announcement - SSL 2015 Event / There will NOT be a rally this year. Thread: Announcement - SSL 2015 Event / There will NOT be a rally this year. Regretfully, we will NOT be having the SmokinStangs Laconia - Northeast Mustang Rally event this year (2015). Sorry to hear this but I understand !! Thank You for giving this a go 3 times. I will remain Salty that this no longer exists and the Northeast Mustang Scene is weak. I too understand, bob you did a great job! Hope you can just enjoy shows with us now. You doing the cruise? Last edited by only5.0s; 03-26-2015 at 10:34 AM. Rumor has it he will be riding shotgun in a Coyote T Top Coupe that day.
" Rumor has it he will be riding shotgun in a Coyote T Top Coupe that day." 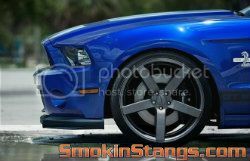 Ultimate Street Mustang Challenge - "2012 Announcement"